Ellen DeGeneres is the recipient of the 15th Annual Mark Twain Prize for American Humor. LGBT Icon Ellen DeGeneres, the much loved comedian and talk-show host, is being honored tonight by the John F. Kennedy Center for the Performing Arts in Washington, D.C. The Kennedy Center has chosen Ellen as the recipient of the 15th Annual Mark Twain Prize for American Humor. Kristin Chenoweth, Steve Harvey, Sean Hayes, Jimmy Kimmel, John Krasinski, John Leguizamo, Jane Lynch, Jason Mraz, and Lily Tomlin, are some of the performers who will deliver tributes to Ellen during tonight’s award presentation. 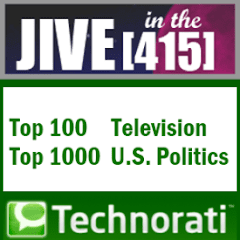 The show will be taped and is scheduled to be broadcast on PBS on October 30, 2012. Upon learning she will receive the Mark Twain Prize, DeGeneres remarked, "It's such an honor to receive the Mark Twain Prize. To get the same award that has been given to people like Bill Cosby, Tina Fey, and Will Ferrell, it really makes me wonder… why didn't I get this sooner?" A beloved television icon and entertainment pioneer, Ellen DeGeneres's distinctive comic voice has resonated with audiences from her first stand-up comedy appearances through her work today on television, in film, and in the literary world. Ellen is the fourth woman to be honored, and she joins an elite group of individuals who have won the award in the past. The past honorees are Richard Pryor, Jonathan Winters, Carl Reiner, Whoopi Goldberg, Bob Newhart, Lily Tomlin, Lorne Michaels, Steve Martin, Neil Simon, Billy Crystal, George Carlin, Bill Cosby, Tina Fey, and Will Ferrell. 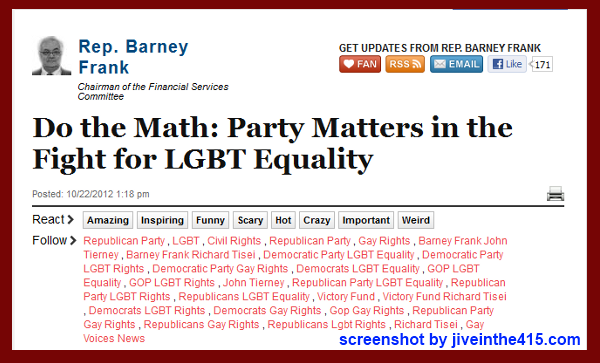 US Rep. Barney Frank (D-MA) writes that the LGBT community should support the political party that advances our civil rights. 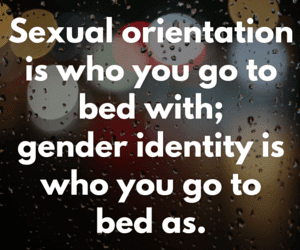 Barney makes a strong case that LGBT voters have to remember that the Democratic party is the political party who consistently supports and advances gay rights, in the halls of state legislatures, and in the corridors of power in Congress. As such, he contends that gay voters should support Democratic party candidates in the upcoming 2012 elections. Barney also takes the Log Cabin Republicans to task for endorsing GOP candidates who have a less than stellar record supporting LGBT equality. The Log Cabin Republicans have consistently endorsed candidates for Congress who are collectively far less supportive of our rights than most Democratic members of Congress, and in all but one case that I can think of -- the endorsement of Rep. Ileana Ros-Lehtinen (R-Fla.) -- the congressional candidates backed by the Log Cabin Republicans are less supportive, in many cases by significant percentages, than the Democrats opposing them. There is no doubt in my mind that Barney is right about this. Gay voters must reject the right-wing extremism that the Republican party represents. Bayonne, New Jersey’s native son Barney Frank is retiring after representing the people in Massachusetts 4th Congressional District since 1980. His distinct and unique voice will be sorely missed. 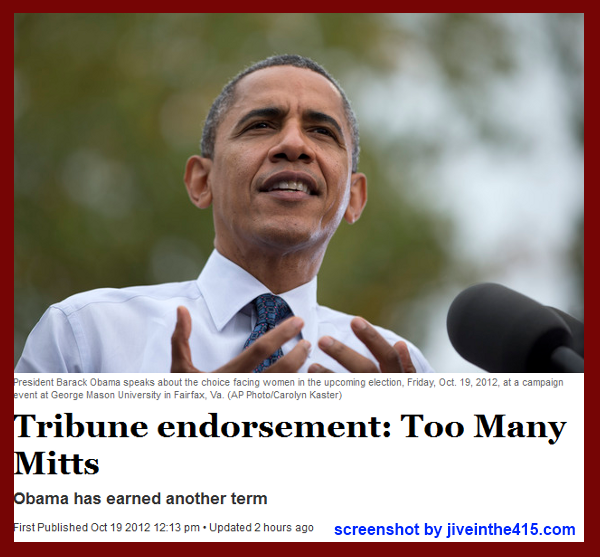 Utah's Salt Lake Tribune says there are Too Many Mitts, and they endorse President Barack Obama. President Barack Obama’s re-election campaign picked up two significant newspaper endorsements over the past few days, namely The Los Angeles Times and The Salt Lake Tribune. The big surprise was the endorsement of Utah’s largest newspaper, The Salt Lake Tribune. They call Willard Mitt Romney Utah’s “favorite adopted son” in Too Many Mitts, citing his management of the 2002 Winter Olympic Games as a high point in his career. After all, Romney managed to save the state from ignominy, turning the extravaganza into a showcase for the matchless landscapes, volunteerism and efficiency that told the world what is best and most beautiful about Utah and its people. The Los Angeles Times cites President Obama's many accomplishments, in spite of the obstructionist Republicans in Congress, in their endorsement for his re-election. The Los Angeles Times looks more at President Obama’s record of accomplishments, while discrediting Romney’s well documented flip-flopping on the issues, and his warm embrace of fuzzy math. Today, Obama is a very different candidate. He has confronted two inherited wars and the deepest recession since the Great Depression. He brought America's misguided adventure in Iraq to an end and arrested the economic downturn (though he did not fully reverse it) with the 2009 fiscal stimulus and a high-risk strategy to save the U.S. automobile industry. He secured passage of a historic healthcare reform law — the most important social legislation since Medicare. Just as important, Obama brought a certain levelheadedness to the White House that had been in short supply during the previous eight years. While his opponents assailed him as a socialist and a Muslim and repeatedly challenged the location of his birthplace in an effort to call into question his legitimacy as president, he showed himself to be an adult, less an ideologue than a pragmatist, more cautious than cocky. Despite Republicans' persistent obstructionism, he pushed for — and enacted — stronger safeguards against another Wall Street meltdown and abusive financial industry practices. He cut the cost of student loans, persuaded auto manufacturers to take an almost unimaginable leap in fuel efficiency by 2025 and offered a temporary reprieve from deportation to young immigrants brought into the country illegally by their parents. He ended the morally bankrupt "don't ask, don't tell" policy that had institutionalized discrimination against gays in the military. And unfortunately for the GOP, its candidate, former Massachusetts Gov. 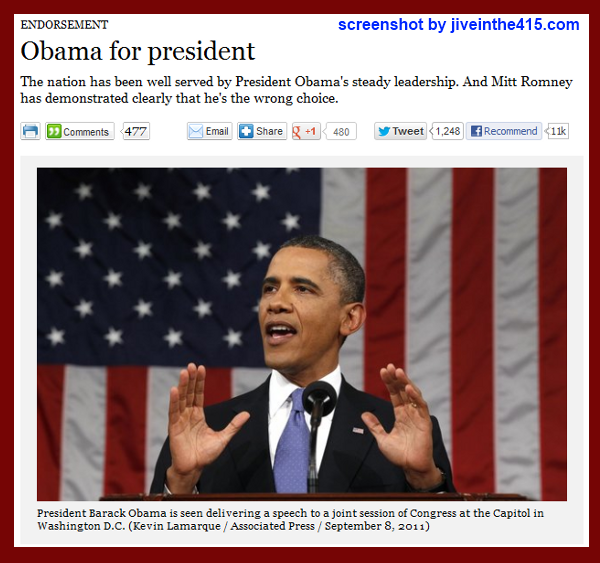 Mitt Romney, has demonstrated clearly that he's the wrong choice. He's wrong on the issues, from immigration to tax policy to the use of American power to gay rights and beyond. And his shifting positions and willingness to pander have raised questions about who he is and what he stands for. The nation has been well served by President Obama's steady leadership. He deserves a second term. I agree with both newspapers wholeheartedly.